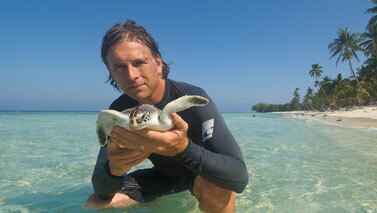 P’fish’ers, check out this great article in Experience Life Magazine featuring Wallace J. Nichols, Ph.D., a true ocean hero! This entry was posted on Monday, May 24th, 2010 at 9:28 am	and is filed under Everything Else, Media Coverage / Effects, Science / Education, Worthy Efforts. You can follow any responses to this entry through the RSS 2.0 feed. You can leave a response, or trackback from your own site.